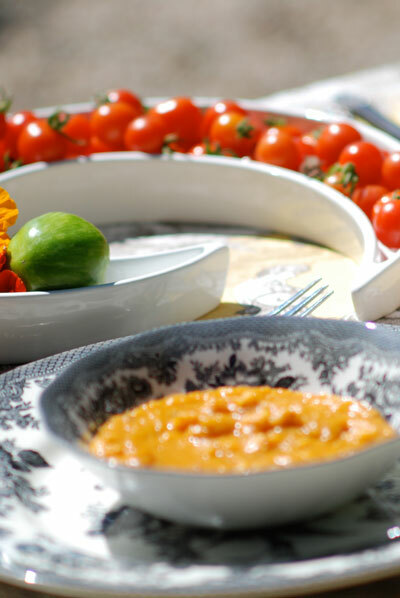 This once in a lifetime opportunity to experience the largest food festival in the world–Slow Food Terra Madre, 2018, held in the Olympic Stadium within the magical city of Turin. With thousands of food artisans displaying and sampling their mouth-watering fare. Maureen will be personally guiding a small group of intrepid spiritually-minded food lovers through this awe-inspiring event. Eat Your Way to Enlightenment! #1 on the Best Seller List. For most of us, our deepest hunger is for a greater sense of connectivity, meaning, purpose and love. What and how you eat can say a lot about how you approach all of your life. Are you moving towards or away from greater fulfillment? Do you feel unfulfilled, always seeming to crave more? Have you ever experienced guilt, sacrifice and suffering around food and eating? Are you tired of listening to other people telling you how you should eat, exercise and look? Do you feel frustrated and confused by the hundreds of diet “plans” and “experts” all with their own, often contradictory methods of achieving the perfect body? 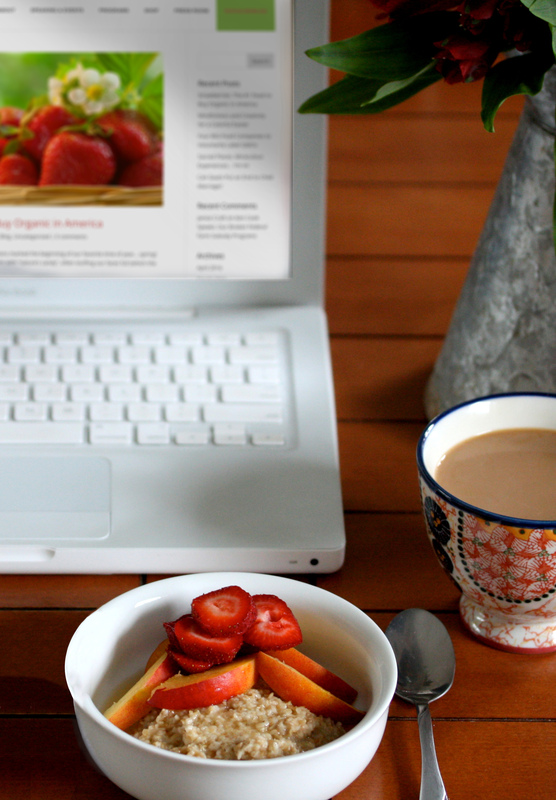 Do you long to sit down and really enjoy a guilt-free meal alone or with family and friends? Have you quit a diet that you swore you’d stick to, feeling defeated and self-loathing? Have you triumphantly reached your weight-loss goals, only to yo-yo back to your original weight, while frantically trying to control your fluctuating waistline? Do you want to eat the foods you love while simultaneously experiencing more peace and fulfillment in life? Eat with love, what’s grown with love, prepared with love and served with love. It will not only transform your mealtime, but your entire life. 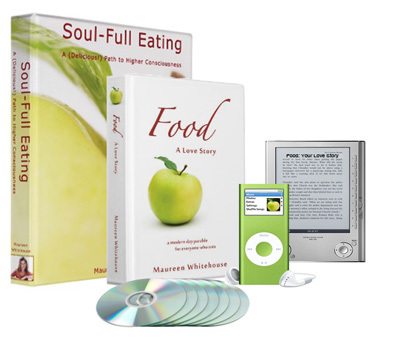 With a generous spirit, Maureen Whitehouse offers you a new vision for eating that will leave you feeling full on every level. 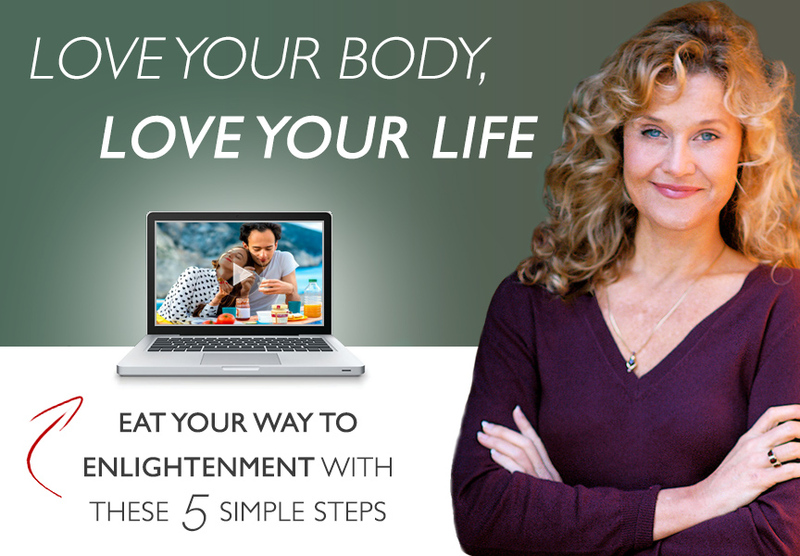 Curious to learn how Soul-Full Eating can change your life? 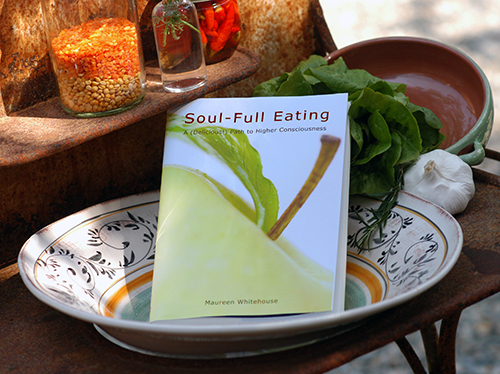 Click Here to get a complementary excerpt from Maureen’s award-winning, #1 best-selling book, Soul-Full Eating: A (Delicious!) Path to Higher Consciousness. Here Maureen offers to you a revelatory experience unlike any other, as she guides you along a delicious, rejuvenating, Soul-satisfying path. It’s one based on the love of food that anyone – no matter what your faith, religion or personal philosophy – can follow. Become aware of simple, yet dynamic changes you can make in how you select and prepare food that will increase your vibrancy, satisfaction and personal energy. Deepen your spiritual connection on a daily basis while you take a stand for a compassionate and sustainable world. Leave behind all drama to find fulfilling, fun and more loving personal relationships. So you’ll not only look, but feel your very best! 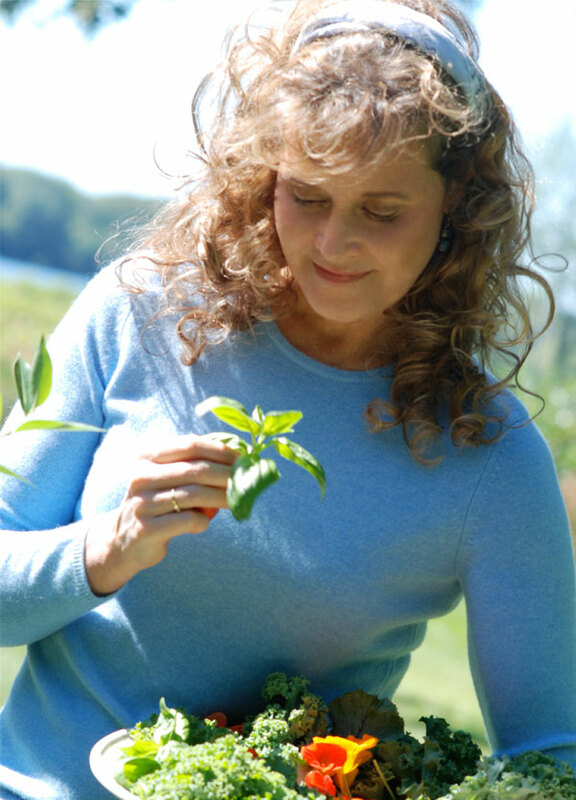 Maureen Whitehouse is a renowned expert in eco-spiritual nutrition and the award winning author of Food: A Love Story and best-selling Soul-Full Eating: A (Delicious!) 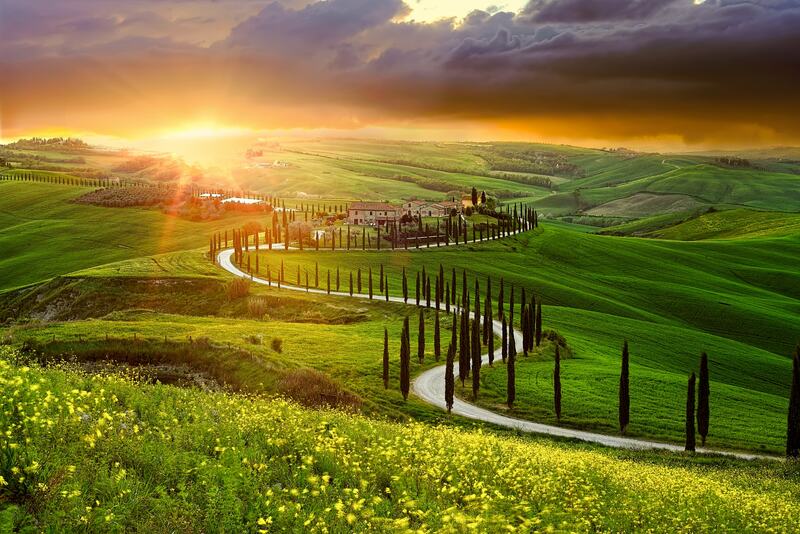 Path to Higher Consciousness. Her expansive knowledge of nutrition grew from the demand to maintain a “picture perfect” image as an international model and commercial actor. This initial goal led to decades of experiences traversing the globe, voraciously studying the world’s diverse nutritional and spiritual traditions. She currently resides in Cambridge, Massachusetts and is a teaching fellow at the Harvard Divinity School doing research on mindfulness and food ethos.